Do you lead a busy life, with work and family commitments, and find it tough to find time for yourself? Or maybe you even find it challenging to take time to notice your breath or the beauty of the world around you? I can totally relate. I felt similar when I was working in a high stress corporate career, living a busy and often hectic life in Manhattan, living life to the full and saying yes to every opportunity that arose. At least I thought I was living life to the full. I now realize this was not truly a full life, in the sense of fullness, wholesomeness, and balance. I was merely living a busy, jam-packed, and sometimes even chaotic life! In November 2002 I was scheduled to attend the annual National Field Hockey Festival in Palm Springs with my local field hockey team from NYC. Every year, we traveled during the Thanksgiving week to this same tournament, wherever it was being held within the US. It was always a lot of fun and camaraderie traveling with such a large mixed group of around 30 outgoing and active men and women, supporting each other, working as a team, partying and sharing laughs, jokes and good old British humor. After all, many of our group were fellow Brits, living the driven and opportunistic Manhattan lifestyle. After a recent relationship break-up, I decided that attending this annual trip, that my ex would also be attending, was not the type of trip I wanted that year. To this day, I still do not remember fully what inspired me to look into attending a yoga retreat, since I had only been practicing yoga for a little over a year at that time, and had certainly never previously considered retreating from my fun and crazy lifestyle. I do however remember the feeling more drawn to some quieter and more alone time, rather than the high-energy and team-bonding that I knew came along with the hockey tour. I felt a need to re-treat from the crowd this year. My goal was not necessarily to relax and destress, which can often be reasons to attend a yoga retreat. I believe my intention at that time was to find more clarity within, taking time to read books, feel a sense of peace and quiet, reflect on life, be alone, and not constantly entertained and over-stimulated by other people and situations such as competition, team tactics, partying, and planning. So off I went to my very first retreat in November 2002! I chose a beautiful resort in Utah called Red Mountain Resort, and I signed up for the Adventure Retreat that included morning hikes in Zion National Park, mountain biking, yoga, pilates and other fitness classes, massage, and healthy cuisine with a special turkey dinner meal on Thanksgiving Day. Being in the outdoors, doing lots of exercise, and spending a week in the mountains, as well as practicing yoga and finding my zen, was absolute bliss and just the trip I had been looking for. I found that first retreat to be transforming in a way that I hadn't envisaged. I had no prior expectations. I wonder if the rookie in me helped me to soak up all the energy and beauty and discover that I could still have a fantastic time, even without my field hockey buddies and beers! The second retreat I attended was 4 years later in 2006 at a time in my life when I was recovering from some injuries and health issues after becoming overtrained while racing and competing in competitive triathlons. This time I decided to venture somewhere more tropical because I was in need of more relaxation and rejuvenation and less exercise. I traveled to Mexico and stayed at the stunning Maya Tulum, surrounded by the most beautiful beaches, just south of the historic Mayan ruins at Tulum. I had visited Tulum 10 years prior with my boyfriend at that time, backpacking, camping and sleeping in hammocks on the beach. This time I was re-treating myself to a lot more luxury, with a private beach-front thatched roof cabana, delicious and high quality cuisine, 2 daily yoga and meditation classes, and an opportunity to completely destress and relax. I remember even falling asleep during Savasana. That's how relaxed I became. As my intentions and goals for attending yoga retreats, as well as my experience during the retreats, have evolved over the years, I've personally discovered first-hand the many and varied benefits of attending a retreat. Since I have more recently led yoga retreats for others, I have learned my clients' intentions for attending, as well as the benefits they have experienced and shared at the end of the retreat, often more than was originally expected. With this depth of knowledge and personal experience, I've put together the top 7 benefits that I feel are most relevant to attending a yoga retreat, even for beginners or for those who do not consider themselves a yogi or a yoga retreat goer! In my experience, one of the main reasons that people attend a yoga retreat is to destress, get away from their day to day hectic life of responsibilities and chores, and relax! We spend so much of our lives working, meeting deadlines, running erands, taking care of families and kids, and often living our lives in a state of 'fight or flight', or survival mode. Attending a yoga retreat can be a perfect way to force us to take time away from all these activities, and spend more time with our self and on our self, rather than focusing more on others. As we practice yoga, we begin to discover and create space within our body and mind, and that helps us to feel a sense of space within our lives. This space can give us a feeling of lightness, relaxation, destress and recharging our batteries. Often this helps us to feel more space when we go back to our daily life, having a clearer state of mind and a more mindful and balanced outlook on situations that may arise, not always reacting in as stressful a manner as we may have done previously. 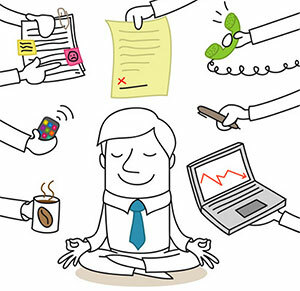 So while feeling destressed during the retreat is important, the key is to be able to take this destressed, relaxed and clear state of mind back into our daily lives, even once we have left the retreat, knowing that we can always come back to that same state of mind once all our daily responsibilities resume. When attending a retreat, it is always advisable to leave laptops, computers, phones and other technology at home, or at least to switch them off during the retreat as much as possible. Many retreat centers are located in the mountains or by the ocean, in places where there is often limited cellphone service. This is fantastic because there is no temptation to check email or social media feeds, or call friends and family back home. Disconnecting from technology not only helps us to connect more deeply with ourselves and others at the retreat. It also allows us to take a break from the electromagnetic radiation that pollutes so much of our environment and possibly contributes to additional stress, poor health and even disease. 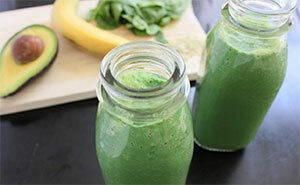 Detoxing is the process of removing toxins and toxicity. Disconnecting from technology and the electromagnetic waves can be considered detoxing, often referred to as a technology detox. There are many different ways to detox the body, practicing yoga being one of them. The physical yoga postures can assist with the detoxing process as we move our bodies into positions that decompress our internal organs and digestive system, assisting in elimination. Yoga twists in particular can be very powerful detoxing postures, as we squeeze toxins from the internal organs and tissue then allow fresh oxygen and blood to travel to these organs when we release from from the twist. Inversions, such as shoulder stand, headstand, handstand and legs up the wall pose, are also fantastic detoxing postures. As we drain the toxins from the feet and legs, where we can often store stagnant energy and heaviness, we allow the toxins to move towards the parts of our body used for elimination. Drinking plenty of water during these detoxing postures is important in order to assist wtih the elimination and detoxing process. Breathing deeply and practicing pranayama is also a method we can facilitate and speed up the detoxing process. Since yoga classes during retreats are often longer than classes in studios, I find there is more time to practice pranayama and deepen and connect with our breath, helping to balance the flow of natural energy through the body. Another effective method of detoxing our bodies is through food. Certain foods can be very detoxing and cleansing for the body, such as vegetables, fresh pressed juices and high fiber whole foods. During a yoga retreat, meals are usually prepared with this in mind, using local, fresh, seasonal and organic produce, sometimes vegetarian or vegan, and often homemade with no additives and no refined nor processed foods. A yoga retreat can also be an opportunity to detox from alcohol. That said, at many of our Body Flows Yoga Retreats in Sonoma Wine Country, we do enjoy a little tasting of local, organic and biodynamic wines. Often these wines can be healing and provide many health benefits, if tasted in moderation. We have talked only about detoxing our bodies so far. It's important to detox our minds as well! Detoxing our minds from all our negative thoughts, stresses, anxieties, emotions and anything that does not serve us. Purifying our minds from these thoughts and emotions can be deeply healing in combination with detoxing our bodies. For more information about detoxing, please check out our article 7 Ways to Detox Your Body and Mind. 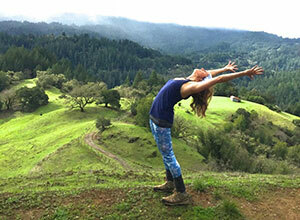 The majority of yoga retreats are held at beautiful locations in nature, close to the ocean or in the mountains. Spending time in nature is so healing and rejuvenating for us on many different levels. Breathing in fresh air, taking time to notice and appreciate the abundant life around us, filled with trees, plants, flowers, and birds, and the miracle of the earth's structures and properties such as the mountains, ocean, rocks, caves, and other natural beauty of Mother Earth. This photo was taken at one of our favorite retreat centers here in Sonoma county, sitting atop a hill in the Russian River area. We're excited to be going back to this retreat center for our Body Flows Harvest Yoga Retreat this year! Much of our day to day lives are spent indoors, in houses, offices, cars, restaurants, bars and stores, and walking through urban streets where we see a lot of concrete and man-made structures, and very little natural life. After living in cities for 15 years, then moving to Sonoma, a small town close to nature and the countryside, I began to feel more grounded and connected to nature and to myself again. I feel a sense of expansion with more space around me than when I lived in NYC and San Francisco, where I sometimes felt a little claustrophobic. I believe this space has allowed me to be more open, more creative, and more confident. Spending time in nature, in the mountains, on the trails, and watching nature's wonders pass us by, I find myself listening more closely to the wisdom from the universe. My vision and life goals have become clearer and I have a sense of unlimited and infinite possibilities. I no longer feel the same stress or anxiety about situations that I did in previous years. There is more to be aware of and thankful of each and every day. Living on this beautiful earth in this lifetime is truly a precious gift. Yoga retreats give us time to reflect on our lives, including actions and decisions we may have taken or may be taking at that time, and reflecting on whether or not these actions and decisions are in our best interest and leading us down a positive path. Self reflection can often feel somewhat selfish or maybe even a little scary. We may be fearful of what we will discover about ourselves when we take time to reflect. Perhaps emotions and vulnerabilities may come to mind. Allow them to rise to the surface. Be present with the emotions, whether good or bad. Do not judge your thoughts or emotions about situations in your life. Just notice and listen to what arises in your mind. It can be helpful to journal as we take this time to reflect and hear more deeply our thoughts, judgments or emotions. Journaling can be a powerful tool to let go of what is not serving us if it's an emotion or negative thought. Journaling can also be effective for remembering any thoughts of clarity and visions that may arise in your mind. Creating time and space to reflect in this way is so important so that we can continue our journey through life on a path that resonates with us, while also satisfying our dreams and our purpose. During the closing circle at many of the yoga retreats that I lead, many people share incredible and inspiring insight about something that may have come to them during the retreat, and that they're going to take back with them into their day to day life. This can be as simple as discovering that they wish to be more kind and compassionate to others, or to set an intention to spend more time on self care and self love. The profound statements and wisdom that I hear from my attendees at the end of each retreat is so incredibly rewarding and inspiring, and allows me to step into the beginner's mind as I learn from all their teachings and reflections. 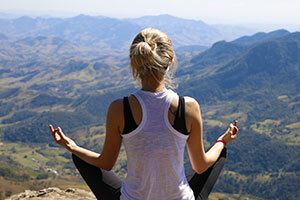 It's obvious that you will practice yoga and meditation at a yoga retreat! This photo was taken at another of our favorite retreat centers herein Sonoma, and we'll be heading back there for a wonderful gratitude Thanksgiving Yoga Retreat! Even if you are a beginner or have just taken a few yoga classes in your life, many yoga retreats will welcome you with open arms. One of the beautiful gifts of yoga is that it truly is available for everyone. That said, it's important to check with the retreat leader to find out if the style and level of yoga during the retreat will work for you. You may learn new yoga postures or techniques for progressing or mastering a pose. 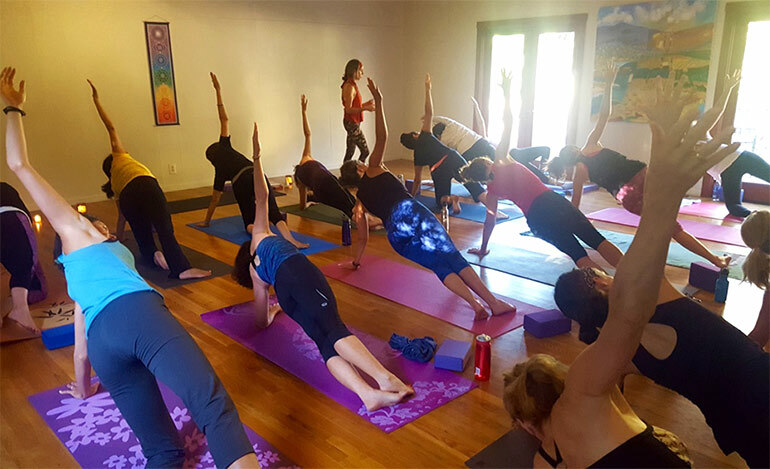 Retreats are great opportunities for teachers to take more time and break down specific postures or sequences, providing personal assistance, modifications and hands-on assists. Here are some articles we've recently written describing a sequence of 11 yoga poses to ease shoulder pain, 11 yoga poses to ease lower back pain, and 3 simple tips for a yoga handstand! It is likely that you will breathe more slowly and deeply during retreat yoga classes, drawing on the energy of the mountains or ocean and nature around you. This will help to relax the nervous system and create an inner calm and sense of peace. You may practice some different yogic breathing techniques called Pranayama, to help balance and expand the flow of life force energy through all levels of your being, physical, mental, emotional and spiritual. You are likely to have the opportunity to attend a guided meditation or a silent seated meditation. As well as finding some relaxation and peace during meditation, the goal of a meditation practice is to understand and train the mind to let go of negative thoughts and delusions, tap into your creativity and your true peaceful, loving self and realize our true potential. To learn more about meditation, check out our article about transforming your life with a simple meditation practice..
As well as taking time to destress, detox, reflect, connect with nature, and practice and deepen our yoga and meditation practices, we hope you will also have fun, meet like minded people and perhaps make new friends! Sharing a supportive space with others during a yoga retreat, friends are often created more easily and the friendships can often feel more meaningful, as vulnerabilities have been shared, and we have each opened up and reconnected with our inner self and desires. 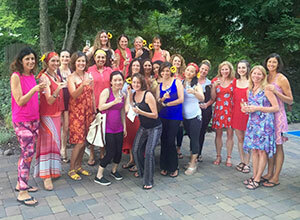 Many new friendships have been created during our Body Flows Yoga Retreats, of which we feel so grateful. Creating community as we attract like minded people to come together in this way, there is so much gratitude, love, wellness and kindness shared, and a collective intention to take our yoga back into our life and share with our respective communities. Are you now feeling a little more inspired and confident to attend a yoga retreat? Check out our upcoming retreats. We lead Sonoma County Yoga Retreats in beautiful locations in Northern California, as well as Hawaii Yoga Retreats, and retreats in Costa Rica, Scotland and Spain will be coming soon! Feel free to share any yoga retreat experiences or questions in the comments section below. We'd love to hear from you! Are you practicing yoga correctly? Are you making mistakes that could cause injury? 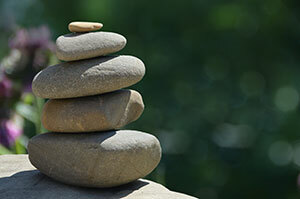 Did you know that meditation can enhance psychological and cognitive behaviors?